Fentanyl is a dangerous, powerful Schedule II narcotic responsible for an epidemic of overdose deaths within the United States. During the last two years, the distribution of clandestinely manufactured fentanyl has been linked to an unprecedented outbreak of thousands of overdoses and deaths. The overdoses are occurring at an alarming rate and are the basis for this officer safety alert. Fentanyl, up to 50 times more potent than heroin, is extremely dangerous to law enforcement and anyone else who may come into contact with it. As a result, it represents an unusual hazard for law enforcement. Fentanyl, a synthetic opiate painkiller, is being mixed with heroin to increase its potency, but dealers and buyers may not know exactly what they are selling or ingesting. Many users underestimate the potency of fentanyl. The dosage of fentanyl is a microgram, one millionth of a gram – similar to just a few granules of table salt. Fentanyl can be lethal and is deadly at very low doses. Fentanyl and its analogues come in several forms including powder, blotter paper, tablets, and spray. When prescribed by a physician, fentanyl is often administered via injection, transdermal patch, or in lozenges. However, the fentanyl and fentanyl analogs associated with recent overdoses are produced in clandestine laboratories. Fentanyl is being cut into heroin and fentanyl laced pills pills are being illegally manufactured in clandestine drug labs and sold as prescription pain medications, such as oxycodone and alprazolam (Xanax), and often also contain heroin. Many inhalation, dermal, and ocular exposure guidelines (IDLH, AEGLs, TLVs) have not been established for fentanyls. In the absence of these exposure values, the US EPA has developed a Fact Sheet Guide with recommendations on site safety until appropriate OSHA / NIOSH exposure limits are established. EPA states that appropriate, controls, PPE and inhalation safeguards used for dusts and particulates should be employed. NOTE: Both Levels B and C “modified” to include a taped or hooded chemical-resistant suit, with no exposed skin. Downgrading PPE levels can be considered only when the contaminant identity, concentration and the risks of exposure are known, and must be accompanied by on-site monitoring. Decontamination specialists should assume all particulates are fentanyl. Currently, no federal or state preliminary testing or decontamination standards have been established for fentanyl contamination. In addition, there are no regulations governing the assessment or decontamination of fentanyl laboratories although many states do regulate clandestine drug labs, in general. The California County of Orange has drafted one of the first protocols for Fentanyl Contaminated Properties. The purpose of this protocol is to protect residents from adverse health effects that could result from exposure to the highly toxic opioid fentanyl and various fentanyl analogues (carfentanyl, acetylfentanyl, etc.). Fentanyl exposure can possibly occur by inhalation, ingestion, injection, and dermal uptake causing depression of the respiratory system with a fatal dose as low as 2 mg (or less for analogues). Upon notification of fentanyl used or believed to be used in an illicit operation, the property or unit should be considered to be a chemically contaminated property and the property should be posted to restrict access in accordance with the procedures in outlined for clandestine drug lab/methamphetamine lab properties in order to protect public health. As the responsible party, the property owner of record should be contacted as soon as reasonably possible and informed of the situation and requirements for mitigation. The general framework of the process for the cleanup and decontamination of the fentanyl contaminated property should be established by an experienced, certified clandestine drug lab decontamination company. The dwelling should be considered unsafe for human occupancy until post decontamination sampling and analysis demonstrates the property is fit for use. The posting restricting any unauthorized access (if applicable) to the property should only be removed after it has been deemed safe by an industrial hygienist with familiarity and experience with fentanyl lab sampling and clearance requirements. 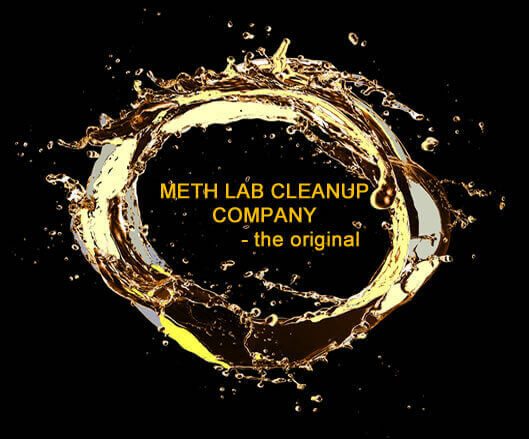 Meth Lab Cleanup Company is leads the industry in the testing and remediation of fentanyl contaminated properties. Looking for superb clandestine drug lab remediation services?